What makes MFI different from other service providers evolving in the meteorological world? The answer holds in one simple notion: TURNKEY SOLUTIONS. - provide and implement innovative information systems. - build a coherent and integrated meteorological ecosystem. - provide all necessary support services in order to grasp all aspects of a project (training, consultancy, etc.). - provide long-term technical assistance and support services in order to maintain and always update to the highest standards the solutions implemented in the first place. "MFI is not a software development company. MFI is not a consultancy firm, nor a technical service provider. MFI IS ALL OF THAT." - TURNKEY MODERNIZATION PROJECT: A national weather service is a complex organization that relies on highly technical systems in order to deliver the best possible services to its end-users. From early warnings to ensure safety of populations to support to major economic sectors through customized meteorological products, the missions of a weather service are numerous and highly strategic. 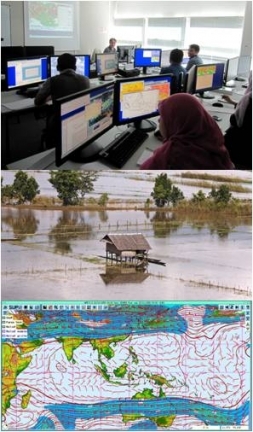 MFI, with its unique positioning of turnkey project integrator, provides national weather services with the full range of systems and services necessary to carry out successfully a modernizing or a reinforcement meteorological project. To learn more on this subject, please visit our Turnkey Modernization Project Page. - INNOVATIVE INFORMATION SYSTEMS: From collecting and transmitting observation data to delivering personalized products to end-users, MFI's system offer covers the complete meteorological dataflow and responds to all the needs of a National Weather Service or any other weather-sensitive entities. To learn more on this subject, please visit our Meteorological Information Systems Page. - WEATHER & CLIMATE SERVICES: meteorology for meteorology, data for data: nowadays, this can no longer be. MFI takes its customers a step further to embrace the whole concept of weather and climate services. Natural disaster prevention, better protection of property and well-being of citizens, decision-making support for weather-sensitive sectors such as agriculture, marine, aviation, tourism, oil & gas, etc. : MFI assists national meteorological services to put end-users at the heart of their preoccupations and enhance their service capacity. To learn more on this subject, please visit our Weather & Climate Services Page.